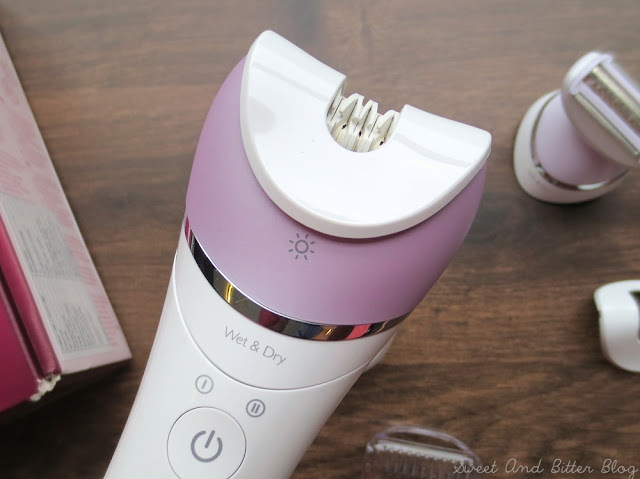 Last year, I got to try my first epilator. I was scared to start using it but thanks to all the people who encouraged me to do the same. 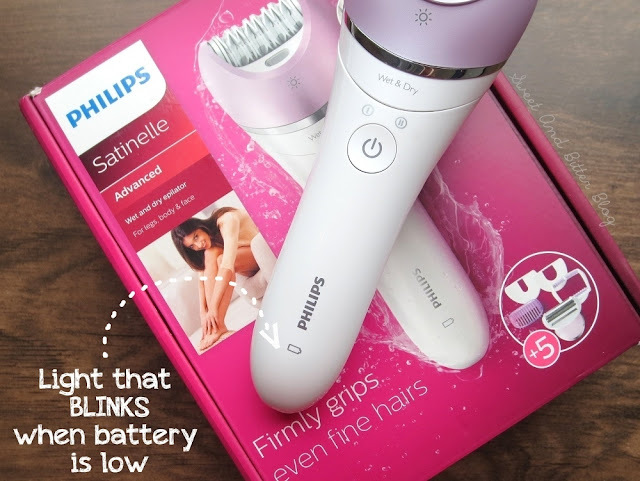 It is was a basic model from Philips, and you can read the view of a beginner here – Things No One Told You About Epilators. 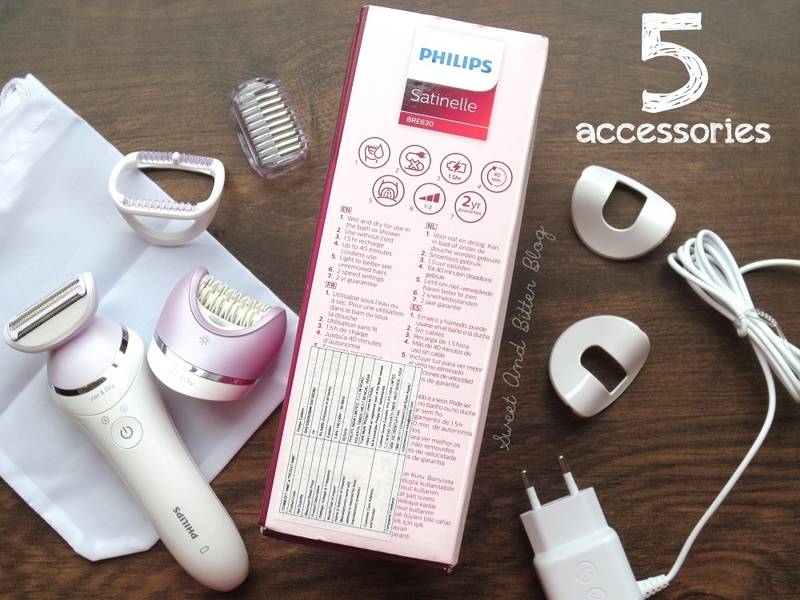 This year, I got to try a new swanky version of Philips Epilator BRE630/00. 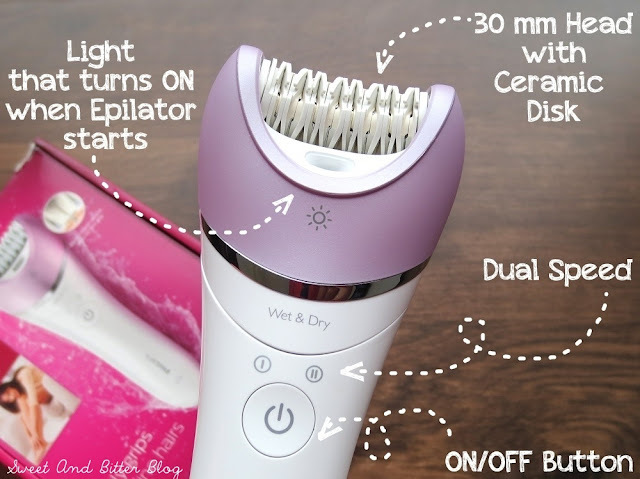 If you have read the earlier post in which I discussed few points while buying a new epilator. This one rounds up all the features in itself. 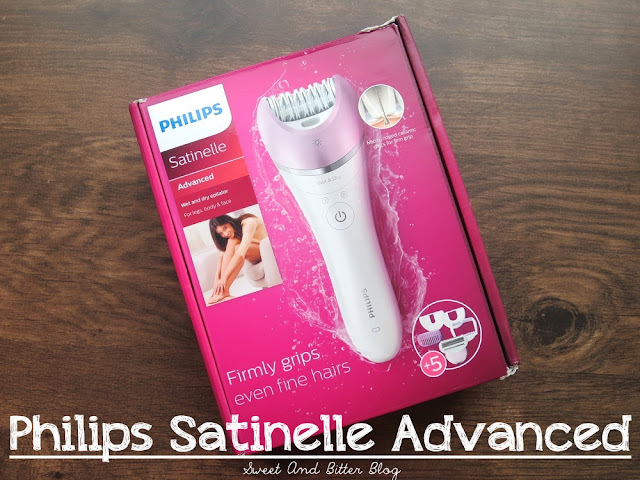 So, what makes this new Philips Satinelle stand out? Wide epilation head: 30mm in width, you do not need to run it across your limbs multiple times. The rough ceramic tweezers (17 ceramic discs that provide 32 catching points) lifts up flat-lying hair and remove even 0.5mm hair. It takes less time to work with. 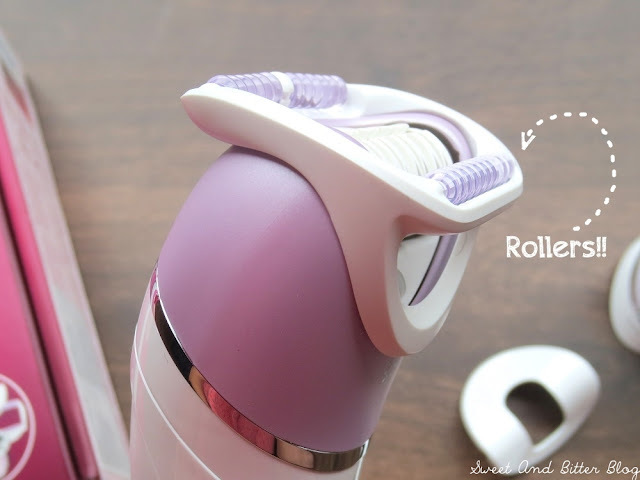 Massage Cap: With rollers on both sides, it soothes skin as the epilator moves making the whole experience pain a lot less than it normally is. 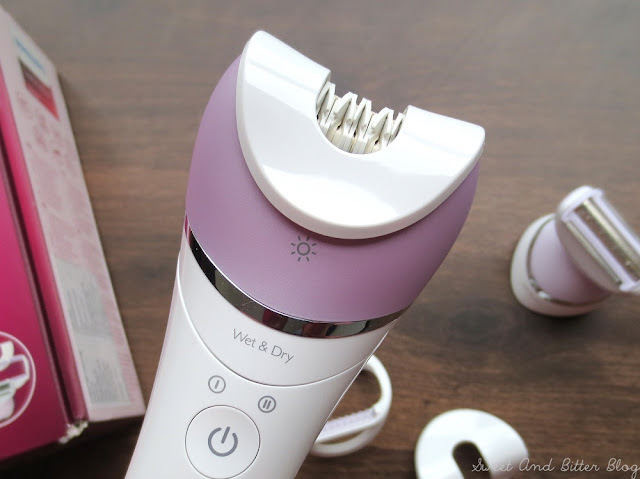 You must have heard a million times how an epilator is supposed to be held at 90 degrees. 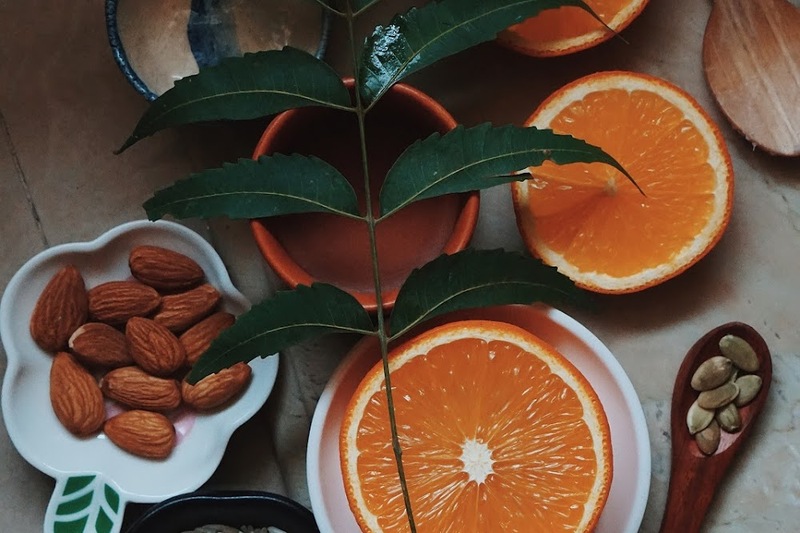 But your skin is not flat so; it is not as easy as it sounds. The massage cap makes it easier to keep the alignment at 90 degrees. Shaving Head: The more, the merrier. The saving head works perfectly. 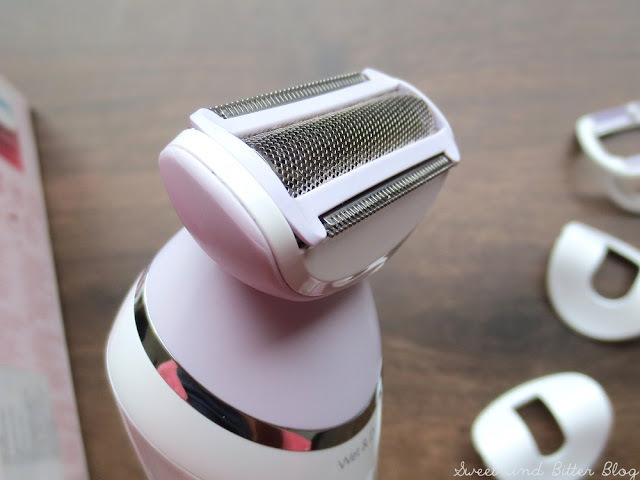 I used it for underarms and found it better than using a shaver because my skin was not hurt (so, no redness or darkening) and there is not the risk of a cut. Also, I used it on delicate areas without any issue. This (kind of) makes my Philips Bikini Genie obsolete. There is also a trimming comb in the box. The light that turns on when the epilator is switched on – If you have thin hair or light colored, it is a blessing. The light makes it easier to target the tiny hair. Unfortunately, it is not helpful when the massaging cap is on. The light can be turned off. Ergonomic Design: This is the first time that Philips have come with an S-Shape handle. It is easier to hold and steer along. 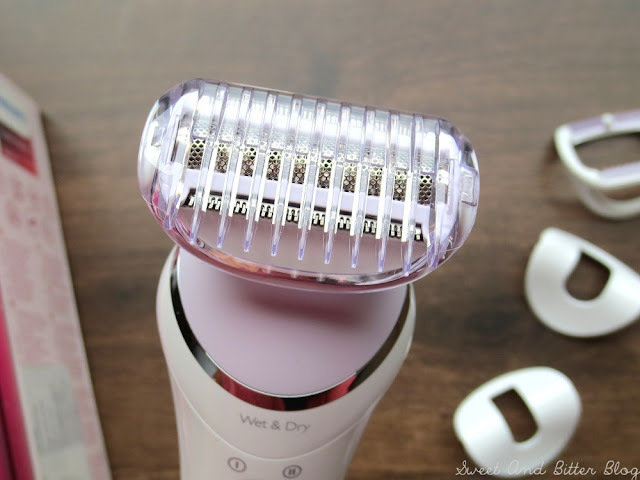 Cordless Use: You can use the epilator everywhere your heart desires. There is a light that blinks when the charge is low. I have charged it once and used it as epilator for full legs, arms (twice), as shaver on delicate areas and underarms. It is yet to show the blinking lights and keep in might that I kept the Opti-light on all the time I was using it. I saw them blink when they were just out the box, and I tried to use for the first time. 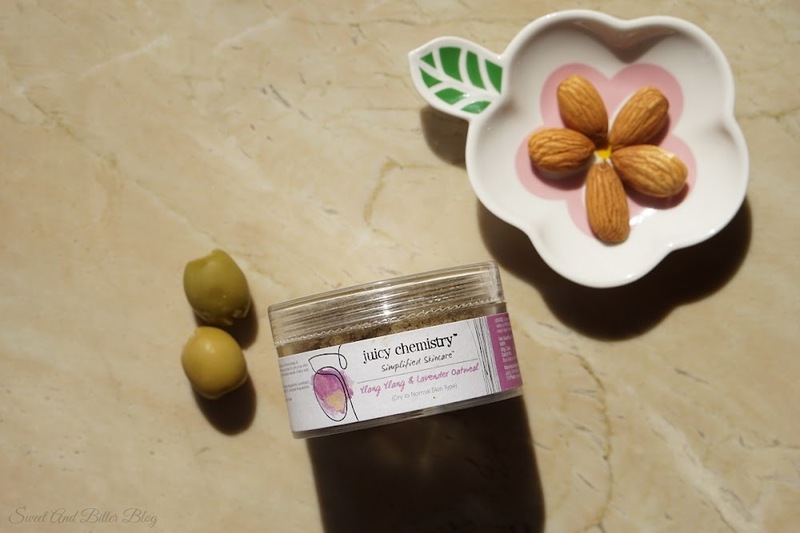 Wet and Dry use – I have used it in dry mode only. But, now I do not have to worry while cleaning the heads. 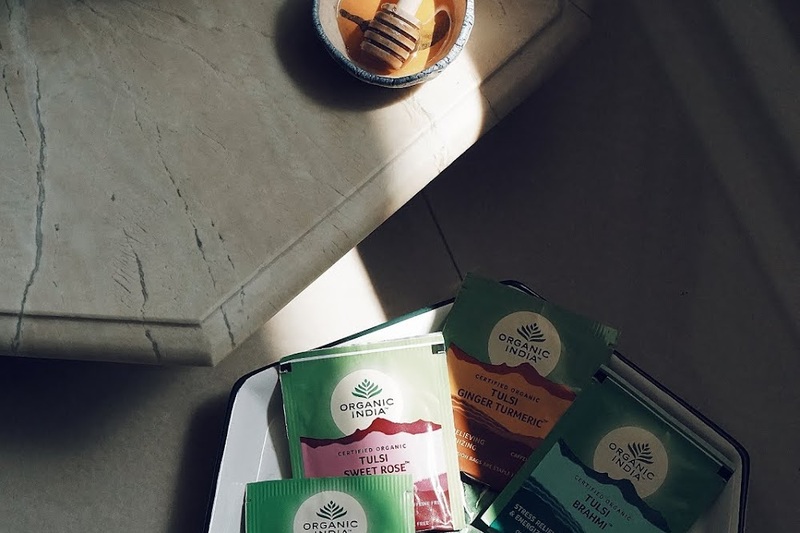 Pouch: There is a white pouch to carry it all. 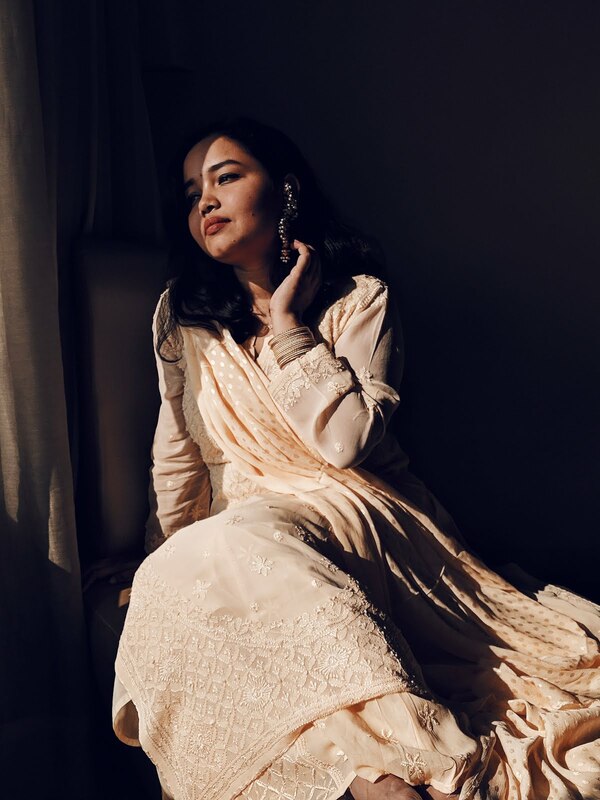 But, I would have asked for better quality. Maybe, I will use something else. Facial Area Cap and Sensitive Area Cap: They both look similar but vary a little in width. Maybe, I will use the epilator for underarms someday soon. Cannot be used when while charging. There is a button to detach the heads on the back of the machine. 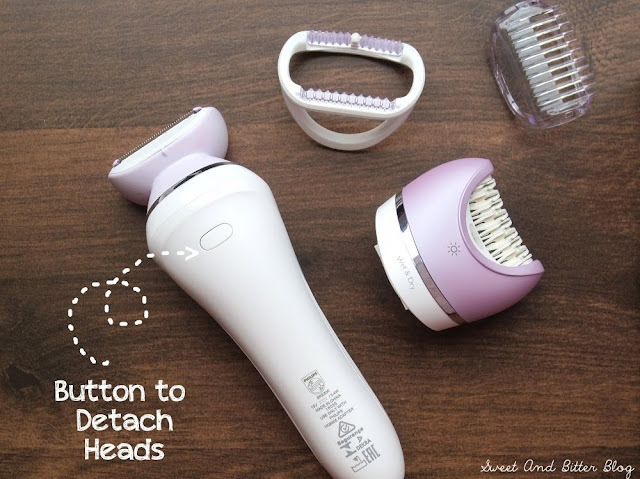 It easily pops out the epilator head, but the mechanism is not smooth when it comes to the shaving head. I am afraid that I might break it soon. I wish the button functioned in a smoother way.